Central, modern, welcoming. 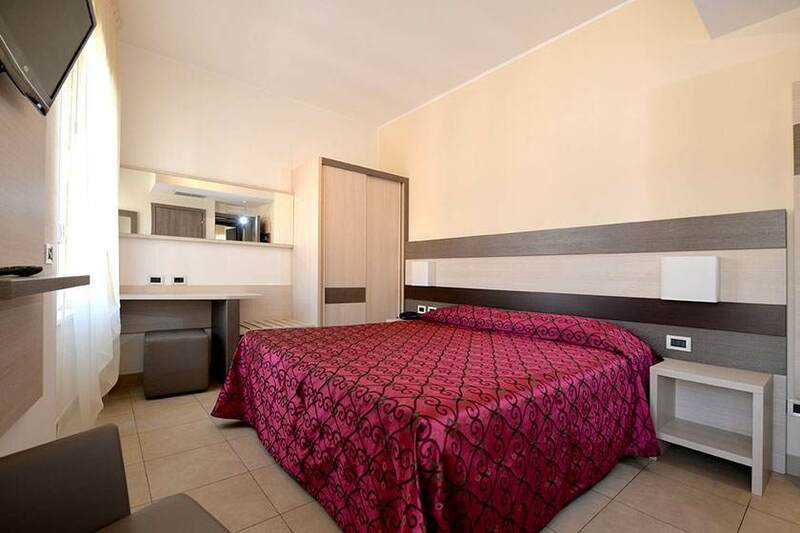 Hotel Siena Verona offers maximum comfort at only 500 meters away from the Arena and 700 m away from the Verona Porta Nuova Station. 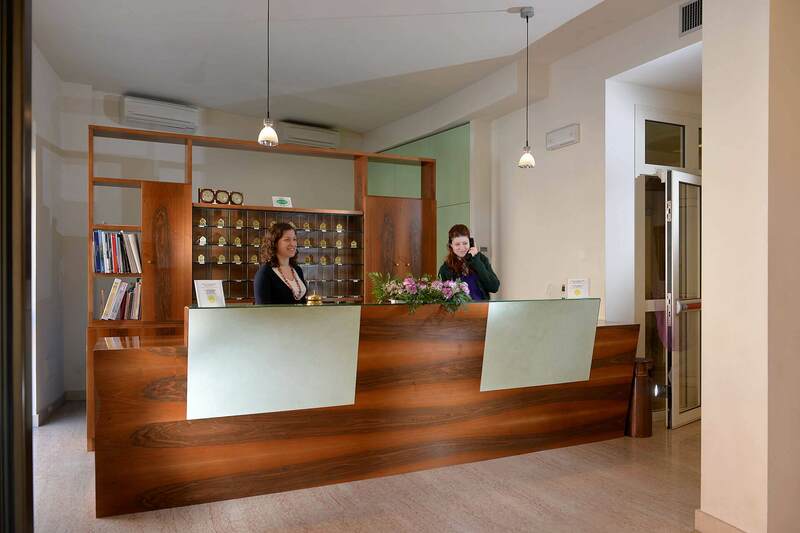 The ideal choice if you're looking for a hotel in downtown Verona with great value for your money and a professional staff always at your disposal. 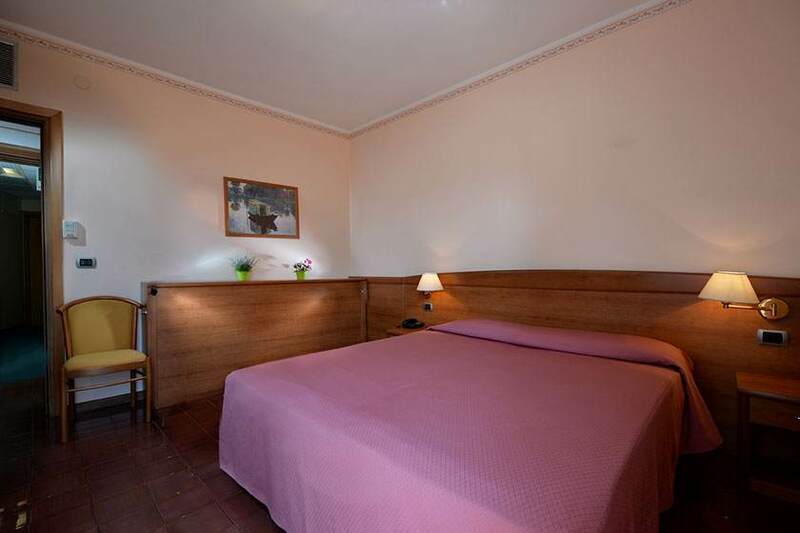 Run by the Bustreo Family for four generations, Hotel Siena is a 2 Star, simple and elegant facility, in downtown Verona. 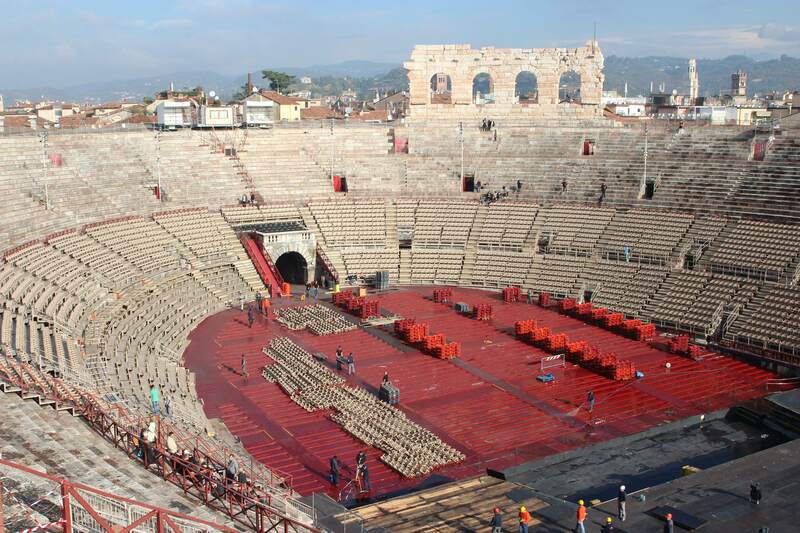 It's the story of people who have done and continue to do this work with passion and who will reveal to you all of Verona's secrets. 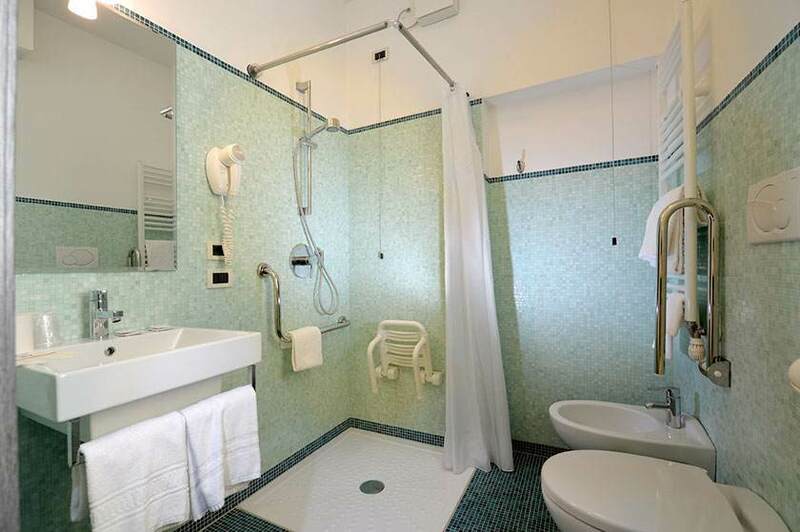 Hotel Siena, with its well-kept rooms, is the perfect starting point for those who want to discover Verona, for those who love opera or for those who want to attend a concert at the Arena and for couples pursuing the dream of Juliet and Romeo. Great free wi-fi throughout the entire facility. 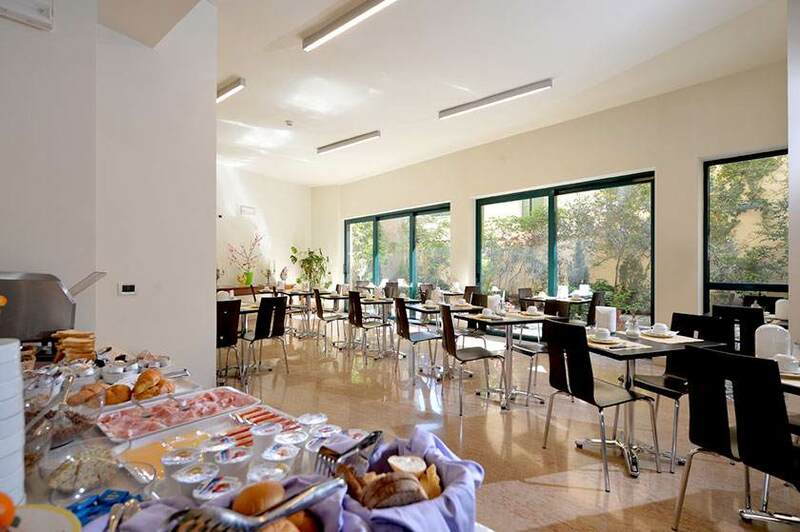 Buffet breakfast is served in a modern breakfast room or, in summer, in the internal garden. Pay underground garage for medium-sized cars (maximum size 2.10 x 4.70m). 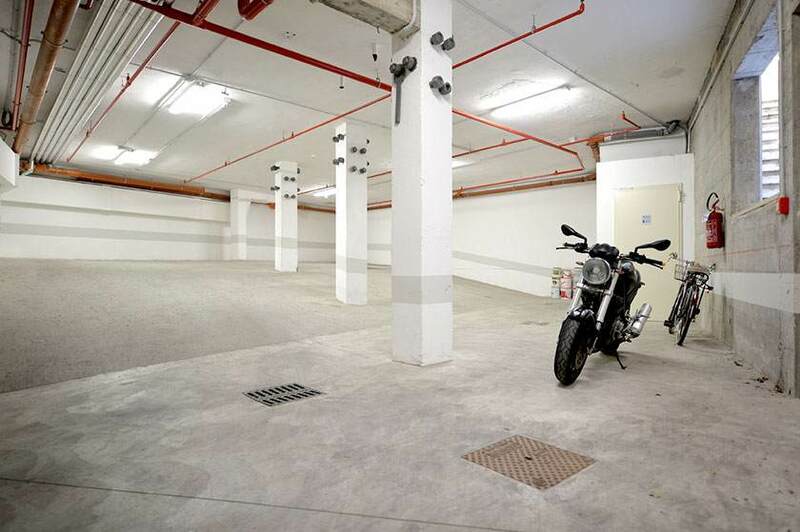 Free of charge bike deposit in the private garage within the hotel. 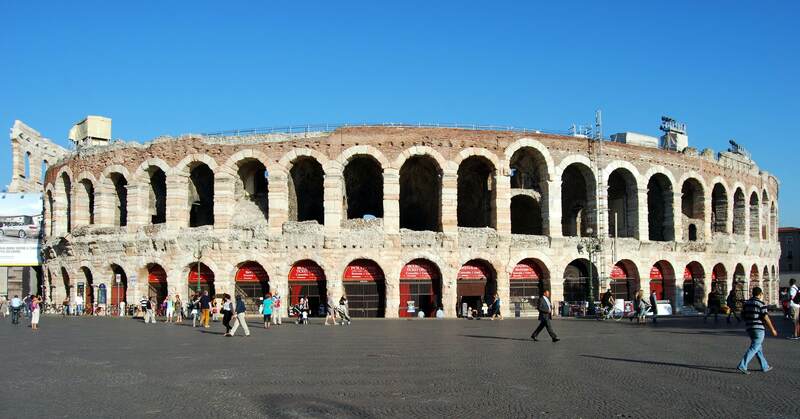 The staff were friendly and accommodating with a lot of recommendations for restaurants, buses to Lake Garda. 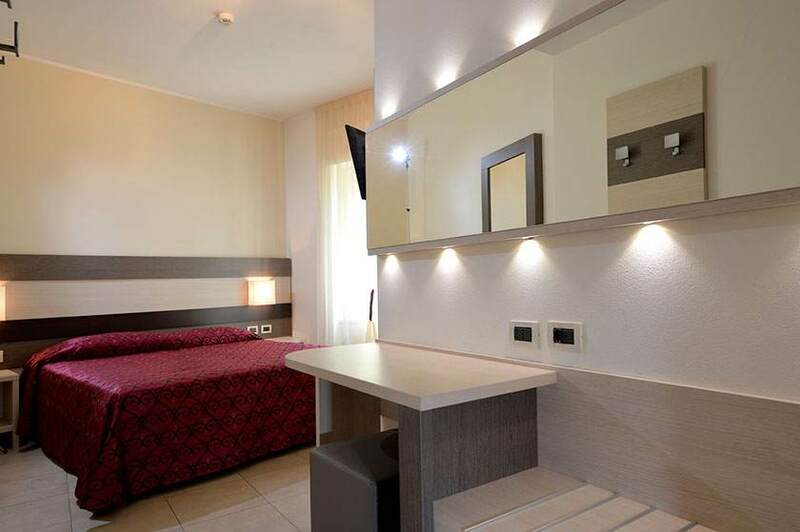 The 2-star Hotel Siena in Verona offers two types of rooms: Classic and Modern, both types of rooms are equipped with the best amenities, color TV, as well as independent air conditioning and heating. 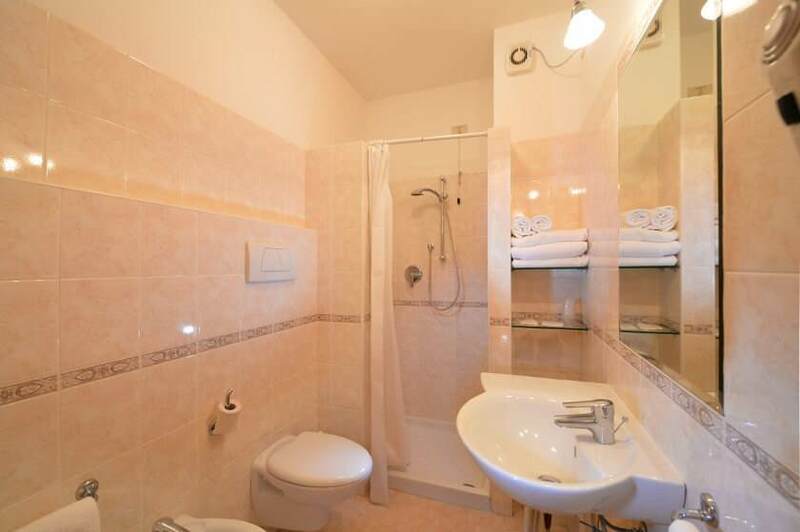 These rooms have modern furnishings and fittings, are equipped with all amenities and are completely soundproof. 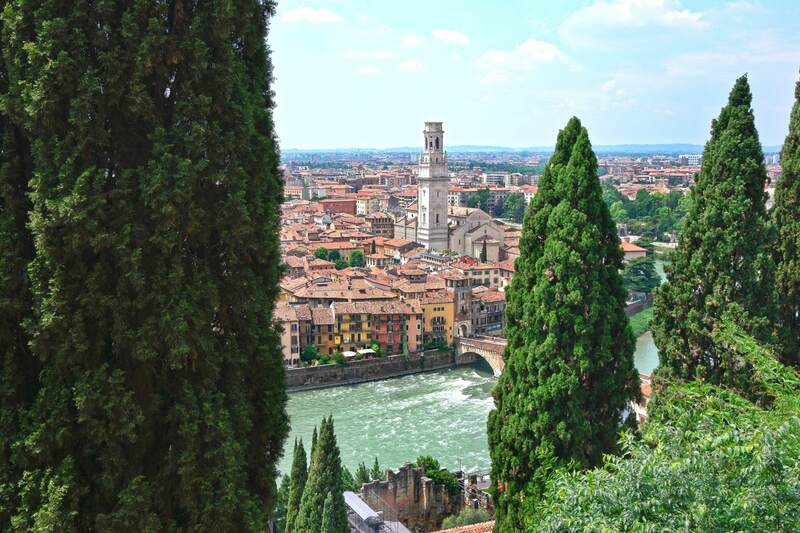 Perfect for a romantic holiday in Romeo and Juliet's city! 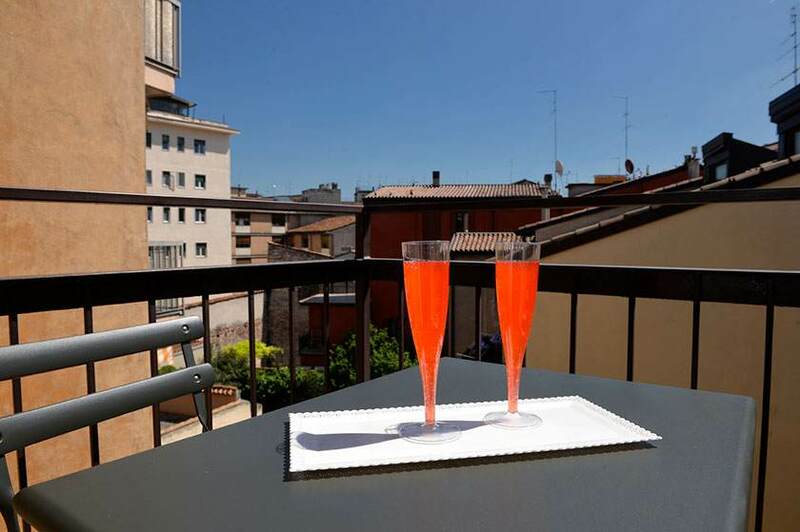 Ideal for a pleasant stay in Verona, these rooms have a relaxing atmosphere and private balcony - complete with table and chairs - overlooking the internal courtyard. 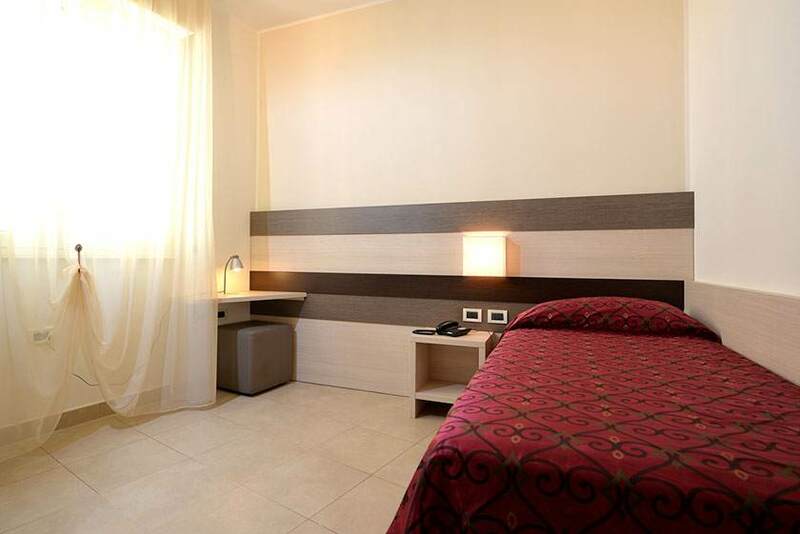 Hotel Siena Verona located in the historic center, a few minutes away from the Arena, is also close to the the train station. 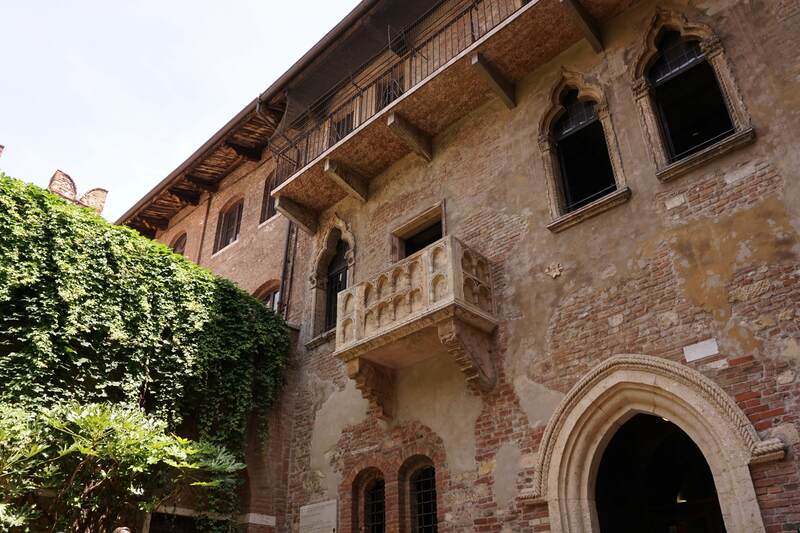 From the hotel you can walk to all of the city's main points of interest, including Juliet's balcony. 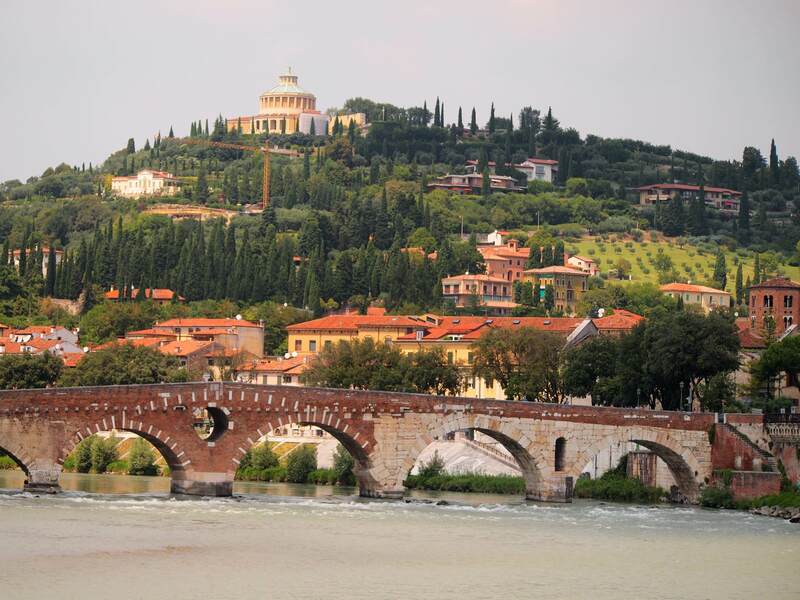 From the A4 motorway Venezia-Milano or from the A22 Modena-Brennero, take the Verona Sud exit. After the exit go straight ahead for 2 Km until Porta Nuova. 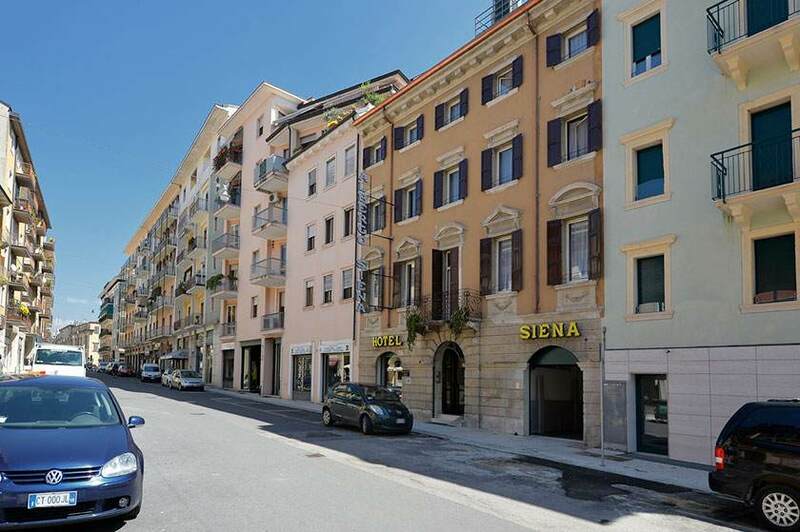 After Porta Nuova, take the second street on the left (Via Locatelli). From there on, the yellow arrows take you through Via Giberti, Via Valverde, Via Poloni and lastly Via Marconi until no. 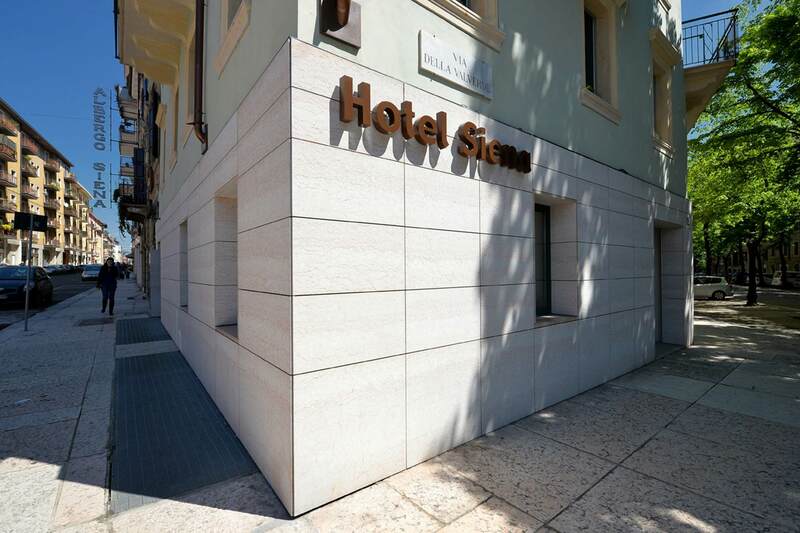 41, which is Hotel Siena (see city map). 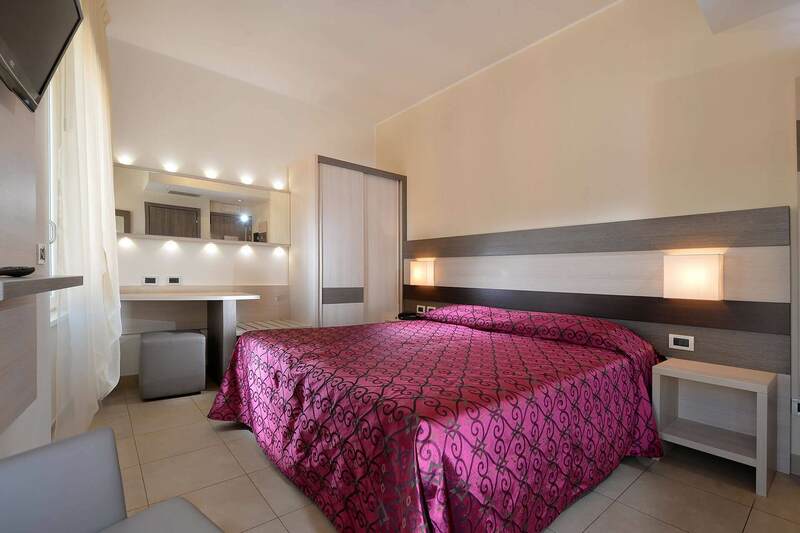 The distance between the motorway exit to Hotel Siena is about 3Km and it takes 7/8 minutes. 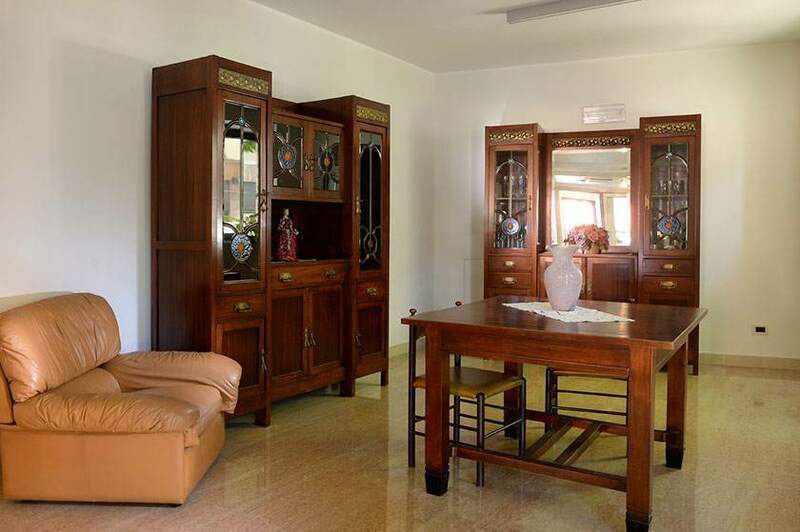 - with an APTV shuttle bus you arrive to the railway station. 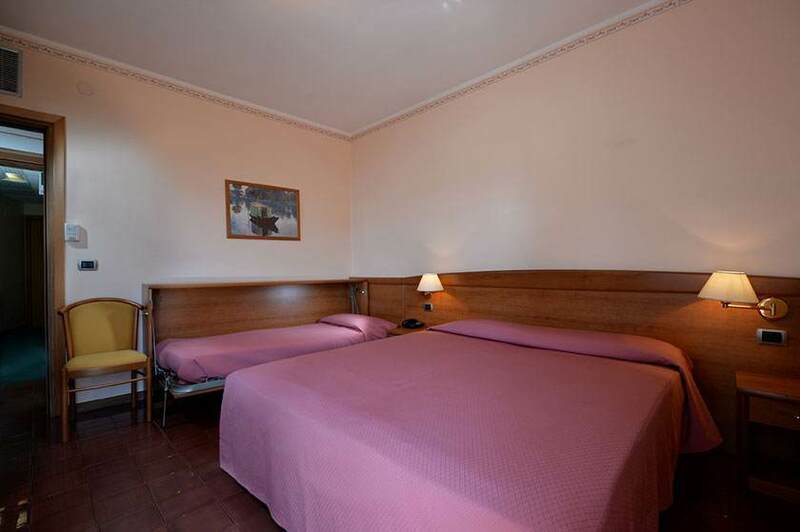 From the station you can arrive to Hotel Siena on foot (800 metres), take a taxi or bus going in the direction of Castelvecchio and get down at the second stop. 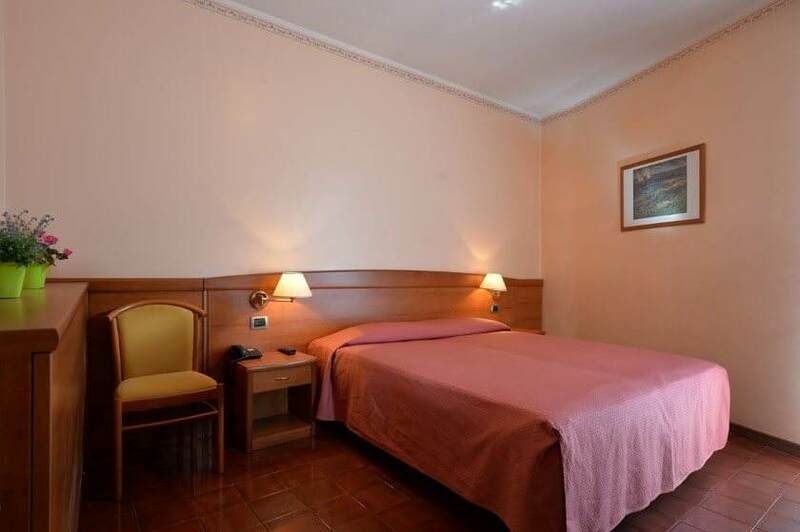 Hotel Siena is reachable within a few minutes on foot: the distance between the station and the hotel is just 800 metres! 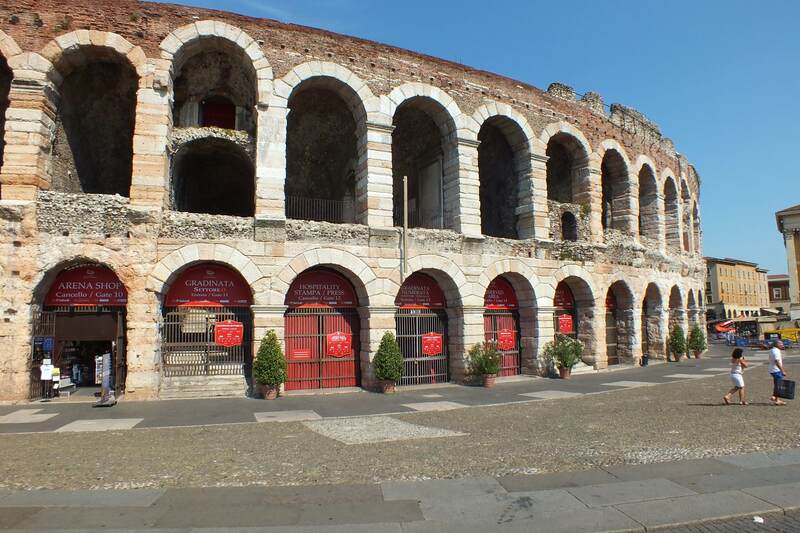 Alternatively, you can take a bus in the direction of Castelvecchio and get down at the second stop, or take a taxi. For your bicycle, the garage is free! 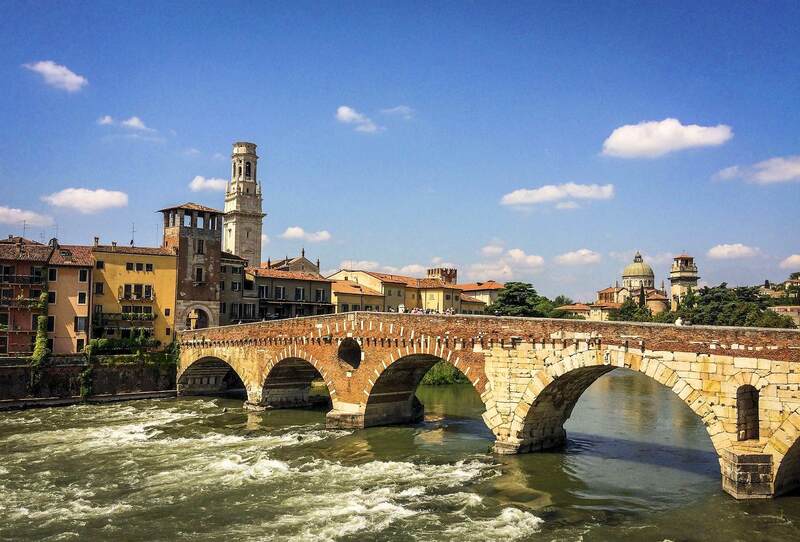 Are you a cyclist that is visiting Verona? Your bicycle deserves a safe garage. 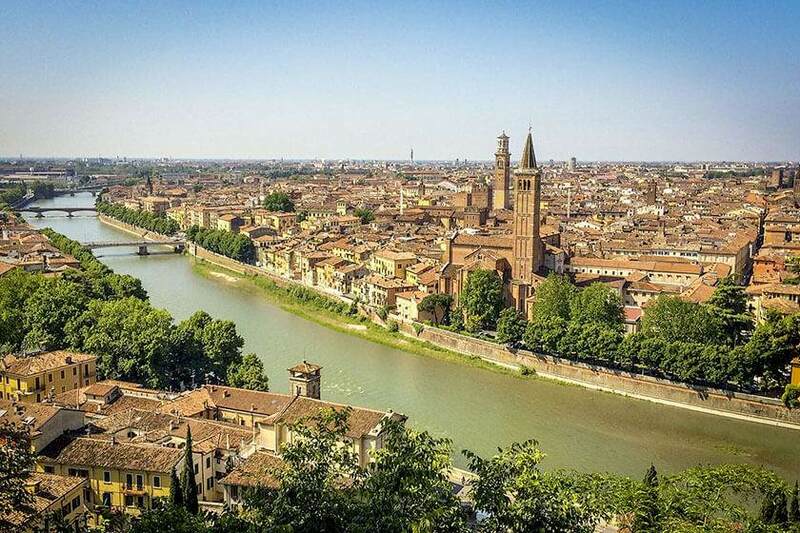 Enjoy your next stay in Verona!